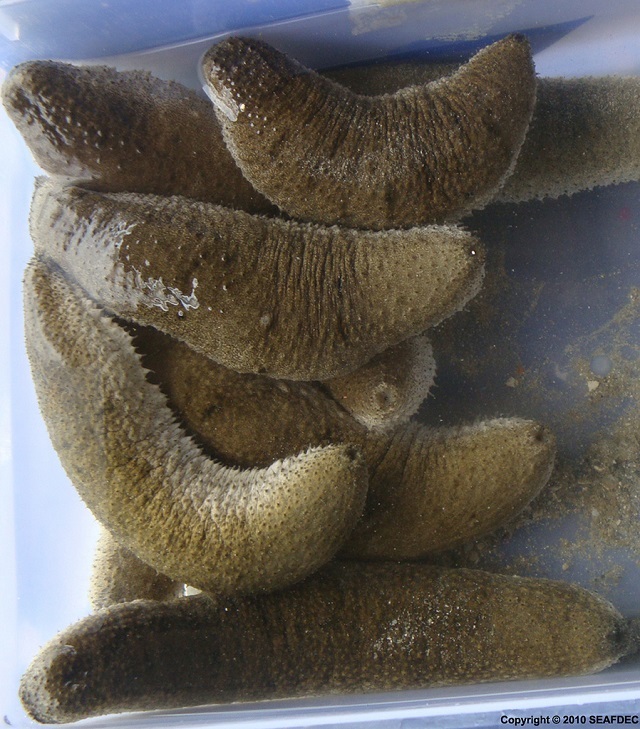 (Seychelles News Agency) - The sea cucumber species is the most regulated of all fisheries in the Seychelles, but given the fact that it has been exploited over the years, the stock has dwindled and today it is barely seen along the shoreline. There are, however, other factors, which have caused the depletion of the sea cucumber, such as heroine abuse by divers, unauthorised fishing, climate change and piracy. SNA met with Ellisa Socrate, the fisheries officer at the Seychelles Fishing Authority (SFA), to explore these issues and talk about the way forward toward a permanent solution. SNA: Local fishermen say their catch for sea cucumber are declining even though they are in deeper waters for a longer time. Can you confirm if that is the case? ES: The sea cucumber fisheries have been operating on a semi-industrial level since the year 2000. At the same time, the Seychelles’ waters were infiltrated with Somali pirates, coupled with the entry of heroine abuse in the industry. These factors contributed negatively to industry. Presently only half of the licensed vessels are in operation and is mainly due to unavailability of Seychellois divers and skippers. 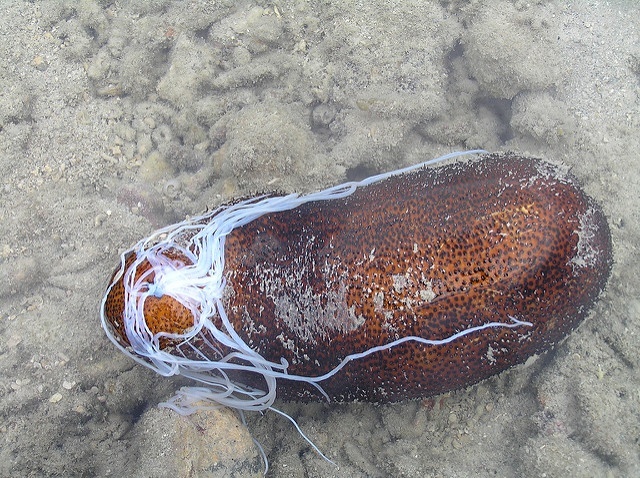 As the sea cucumber is being exploited for almost 20 years, the stock is no longer a “virgin stock.” The species also change its habitat as one of their innate defensive mechanism and tend to gravitate to areas where they feel safe from predators, in this particular case humans predators. SNA: Has the authority assessed the level of depletion? ES: The first stock assessment study was done in 2002-2004 and the Total Allowable Catch (TAC) limits were estimated for the main species targeted. However, the result of the stock assessment was contested by the different stakeholders. They were not directly involved or consulted in the survey methodology. 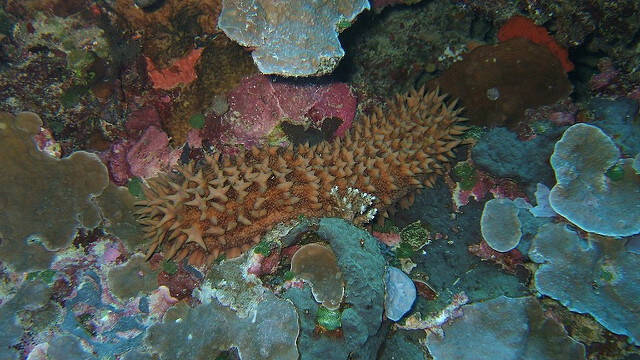 In 2012, Marine Resources Assessment Group (MRAG) from the U.K did a second stock assessment of the sea cucumber in Seychelles and provided recommendations for management and research to the SFA. Following the assessment in 2012, SFA reviewed the management measures for the fishing of sea cucumber and with the agreement of the stakeholders the plan was revised after three years of enhanced data collection. Another scientific study is anticipated to take place this year. SNA: What important role does this species play in our ecology? ES: Sea cucumber plays a very important role in marine ecosystem. Due to their feeding nature, they could potentially play a significant ecological role in the recycling of nutrients. Additionally, their waste may stimulate micro algal production, thus helping to maintain high rates of productivity. SNA: People say they see the black sea cucumber (Banbara Lakol) along the coast mainly on sea grass. What has happened to the population of this species? ES: Licensed sea cucumber fishermen have voluntarily agreed not to target sea cucumber within the reefs to the shores of our main granitic Islands - for several years now. They say that the coastal species namely ‘Banbara Lakol’ and others have a low value. They also decided not to harvest near the shoreline, as these areas are easily accessible to anyone, pick knickers and others. Plus these areas are being constantly targeted by some foreign workers wanting to have their own sea cucumber supplies. Some of them have often been apprehended at the airport upon departure with illegally caught sea cucumber. SNA: Is there enough ecological knowledge available and provided to fishermen to ensure the sustainability of this species? ES: The Seychelles does not have enough ecological knowledge available, but it is to be noted that the five targeted species are basically deep water ones and worldwide there is not enough sufficient scientific and ecological knowledge of same. However, SFA in collaboration with AMSSI is in the process of conducting more in-depth scientific study this year, to have a much better scientific understanding of the ecology of our sea cucumber species. SNA: Is the export level of this species maintained at a standard volume? ES: Export level depends on volume harvested. The sea cucumber processors are working at 50 percent capacity -- the same level of export is to be expected. SNA: Are there statics available on the domestic trade and consumption? ES: The domestic market consumes a bare minimum of the sea cucumber harvested. More than 99 percent is exported to overseas market, bringing foreign exchange into the country’s economy. SNA: What are the guidelines in place to regulate the collection of the sea cucumber in the Seychelles’ water? ES: Sea cucumber is the most regulated of all fisheries in Seychelles and fishing license conditions contains more than 30 articles. After the SFA and the Food and Agricultural Organisation (FAO) study of 2002-2004, the authority decided to cap reduce the licenses to 25. Over the years, SFA and everyone involved with industry have seen the need to have a co-management approach guided by a Management Advisory Committee (MAC). This approach is crucial given for them to feel part of the decision process and in fishing management of the species. SNA: Will the authority look into ways to enhance the population of this species? ES: Any positive and constructive approach with regards to further strengthening of the stock will be considered. However, careful consideration should be taken when dealings with issues of mari-culture/aquaculture or even restocking. 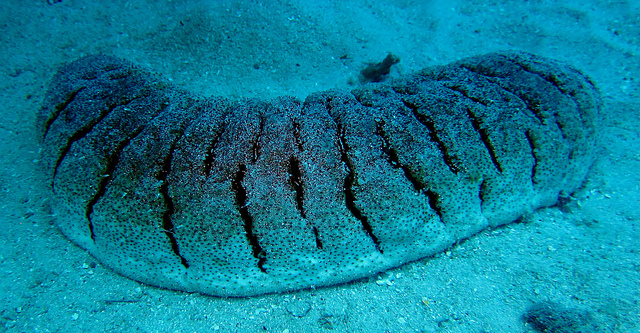 The places that have successfully in sea cucumber farming are technically breading rather shallow species. The industry is targeting deep water species and not much research or studies with regards to the breeding and farming of these species has yet been done but the possibility of rearing such species should not be overlooked if it arises in the future. SFA is currently finalising its Mari-culture master plan of which sea cucumber farming is also included.